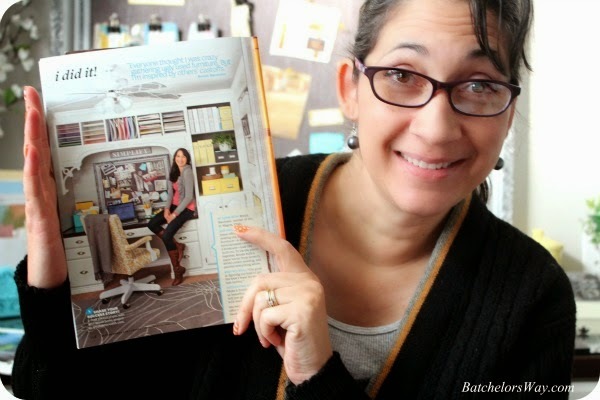 Batchelors Way: February Better Homes and Gardens is here!!!! 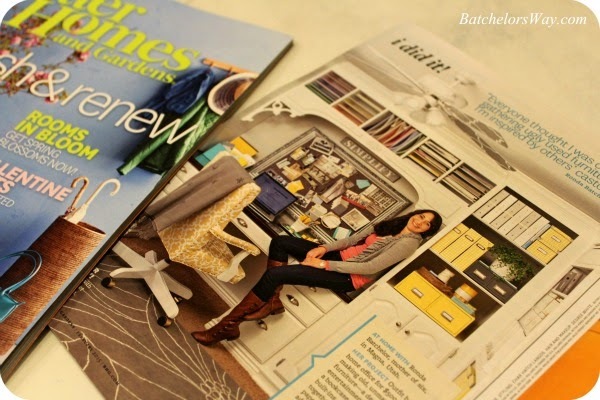 February Better Homes and Gardens is here!!!! Have you seen it on the news stand or in your mail box? Better Homes and Gardens February issue is out!! I received mine and guess who is on the last page? I am over the moon excited!! That's me in my office holding the magazine with me in my office!!! My son asked if three years ago, I would have ever thought I would be in Better Homes And Gardens? No way, but here I am! I am so grateful to my family for putting up with my love of building and decorating!! And to my Heavenly Father for giving me passions and a way to achieve them!! Thanks for sharing in this awesome moment with me!! Congratulations! I will go out and buy this magazine. I love your decorating style, but what I loved most about this post is that you gave your Heavenly Father credit for you talents and achievements!!! Yay!!!!! Congratulations!!! That is so exciting. What an awesome accomplishment!!! That is so exciting and you deserve it. You have amazing talent and the way you reuse things is amazing! Congrats! Yaaay I'm so happy for you Ronda!You totally deserve it. Your office is gorgeous just as all of the projects you've accomplished! Well done! I just discovered your blog today via Houzz and interestingly enough, received my BH&G this afternoon and saw your "I Did It" page, too. You deserve to be over the moon excited about your accomplishments! Congratulations! I am also a mother of 6 from Utah who remodels and decorates my home in real time. Sometimes I feel like I will never finish what I've started but I love it when my vision starts coming together. Thanks for sharing your passion and talents! just read my BH&G mag and pulled out the back page showing your desk area and blogsite. so here I am to see what you're about. Will be becoming a follower and reading all about your projects. I just got my copy in the mail yesterday. What a terrific job you did on this office space and what a great thing to see someone that I know featured in this great magazine! Congrats on the acknowledgement !! You are so awesome! So proud of what you've accomplished and think of you often. Your makeup looks fab in the article too ; ). I saw it in my copy too! Congrats! Now you need to frame it and hang it in your office. I am surprised that when the photographer was there they didn't photograph any of your other amazing rooms too! Congratulations! BHG is lucky to have you read your laundry room makeover on houzz and it is exactly what I needed in mine! Thanks for the motivation.